(Click image to enlarge) The rubber gloves are essential for skin care in this dry climate. The tarp under the washing station is required by the park service to ensure food and trash stays out of the sand. Afterwards the tarps are dumped in the river. 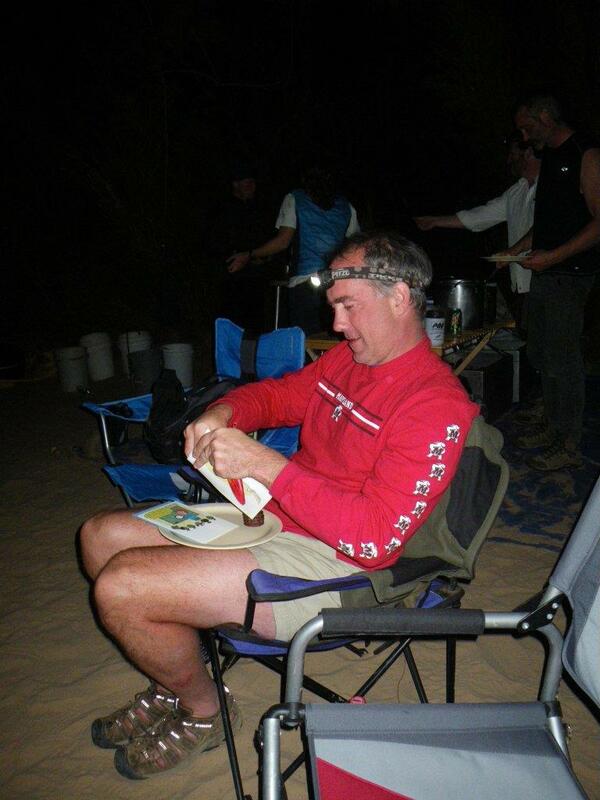 TRIP TIP: Be sure to ask the outfitter for a pair of extra large latex gloves. It took much longer to get packed up and get on the river today after having a layover day. I guess it takes longer to pack because everything gets more unpacked after two days. I have too much stuff! We could have left Ariel’s school books at home. There’s no way she’s going to do any schoolwork other than play cello to practice for the concert she has the second day she gets back to school. We finally left Nankoweap (river mile 53.5) and got on the river at 10:10 AM. 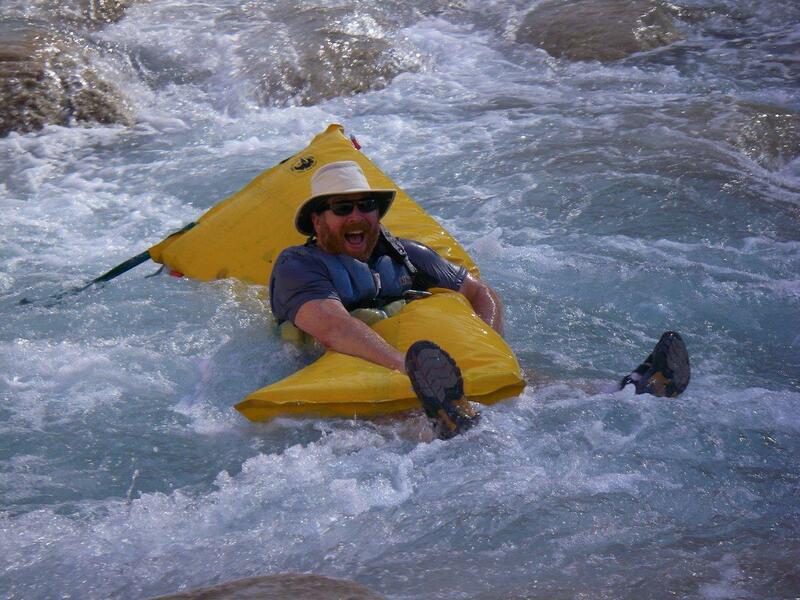 After 9 miles and 1 easy class 5 rapid, we reached the Little Colorado River right at noon. 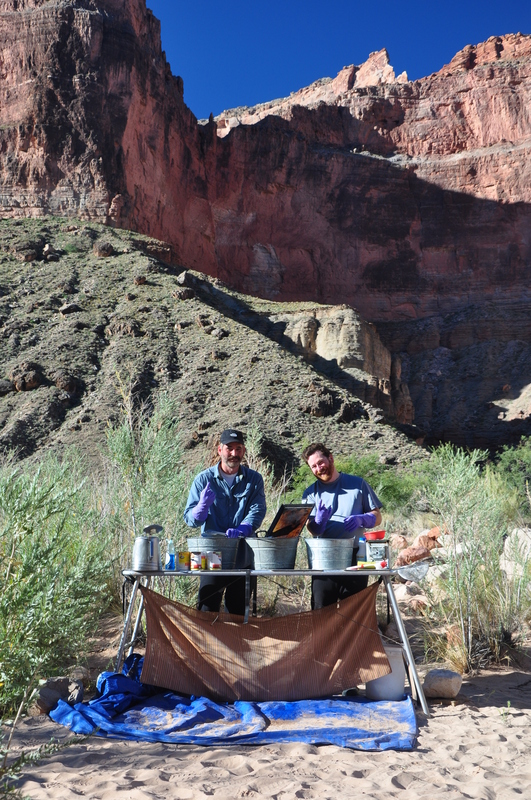 We pulled out a collapsible table and made lunch before walking up the Little Colorado to go swimming. There are some huge fish in the main Colorado just upstream of the mouth of the Little. Doesn’t matter what they are, there is no fishing in this area because an endangered species nests here. I suggested to Ariel to bring a sleeping pad with her so she could ride it like a raft down the little riffles in the milky-green water. Kathleen had a double-thick pad that worked great. Ariel and I were the first ones to go. We floated down together on the mattress and didn’t even fall off going over the ledges. She had a ball and did it 3 more times. 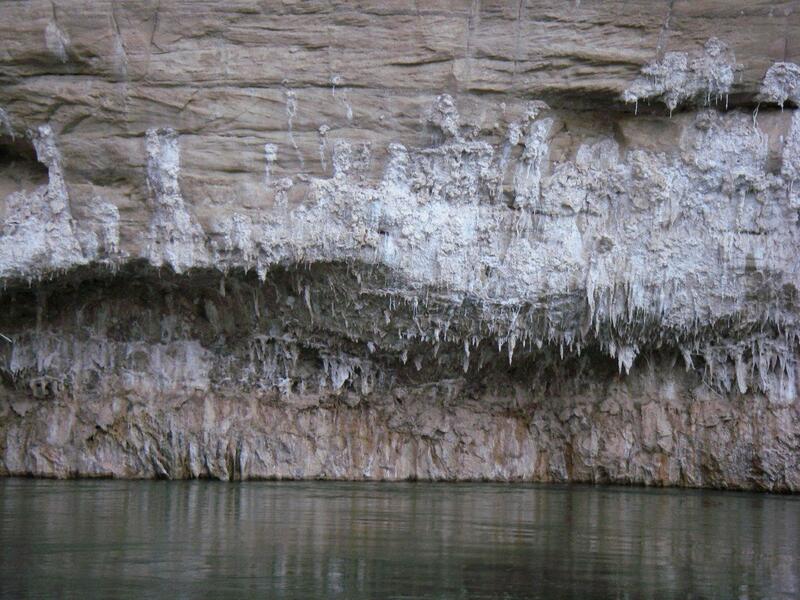 Salt seeping from the canyon walls. The water feels good. It’s very sunny and warm. 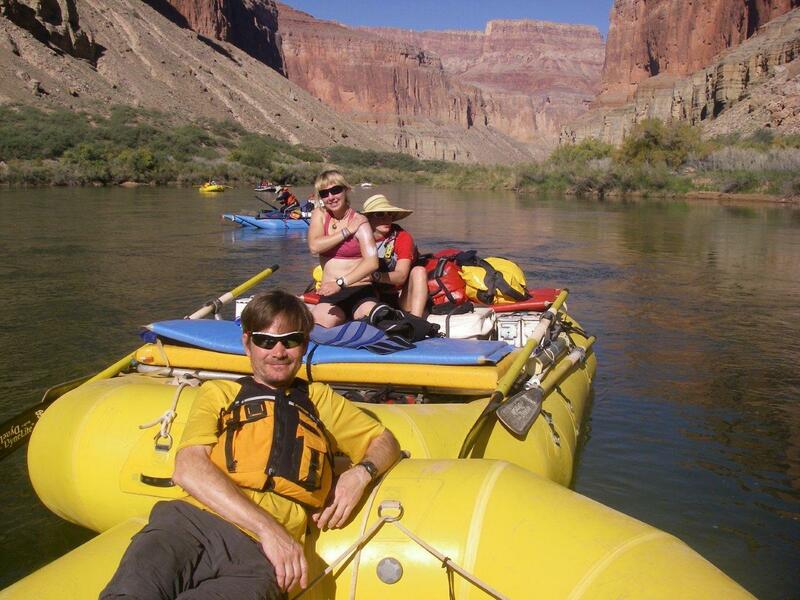 After almost an hour we made our way back to the rafts, put on more sunscreen and headed down river. 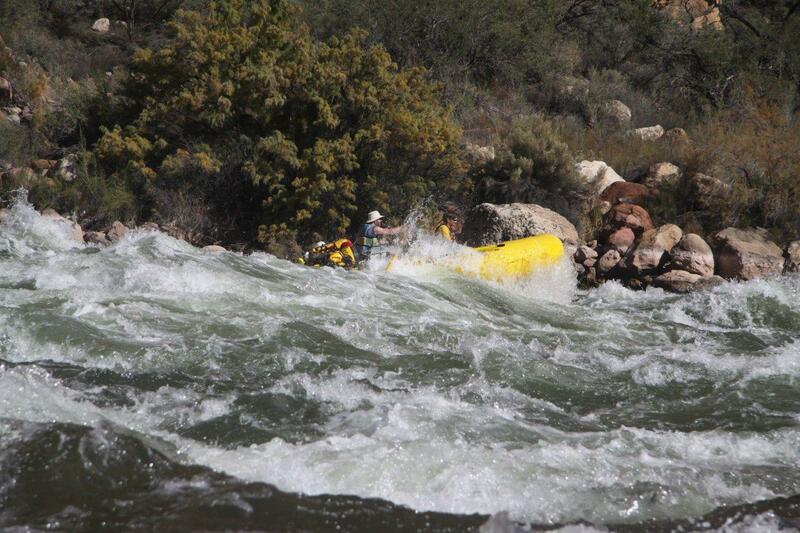 We got to Carbon camp, river mile 65, around 4:00 PM. Ariel and Natalia making artwork. 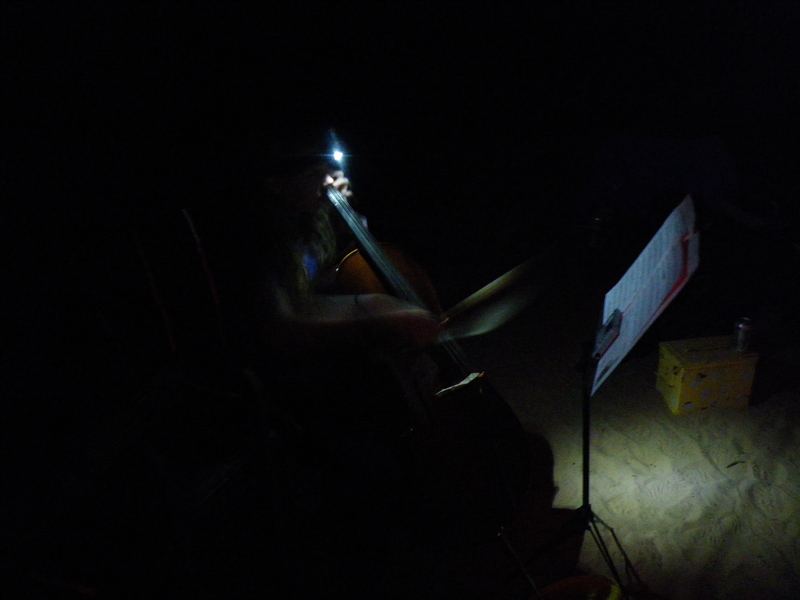 We celebrated Chatham’s birthday tonight and Ariel played her cello in the dark. The day was nice, but I can feel the weather changing… Not sure if tomorrow will be as nice as today. If you think I’m giving Ariel a lot of press, yep, you’re right. 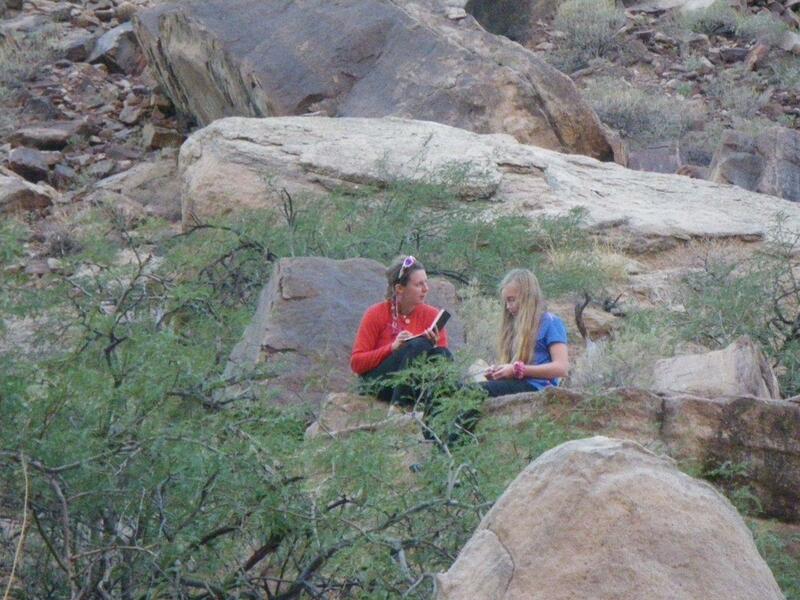 Don’t worry, you’ll miss her in a few days when she hikes out and goes back to school. 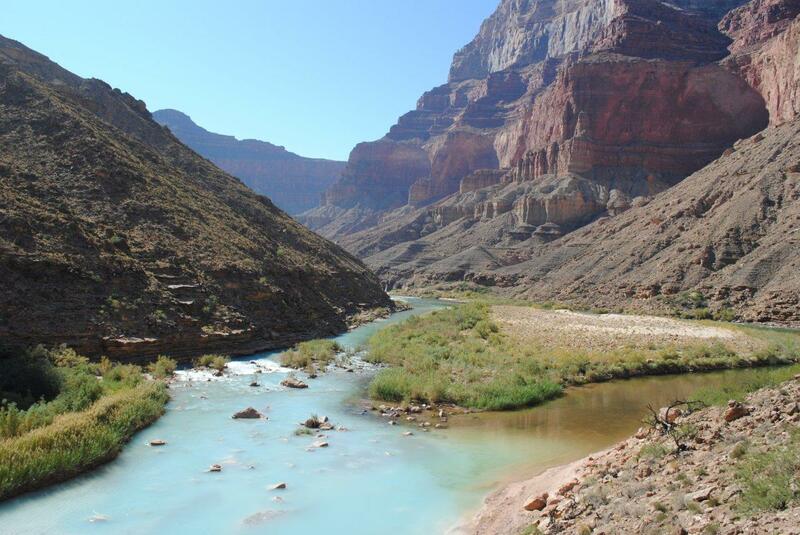 Posted on January 11, 2012, in Grand Canyon 2011 and tagged cleanup crew, dry climate, latex gloves, little colorado river, morning sunlight, nankoweap. Bookmark the permalink. 5 Comments. The purple proctology gloves shouldn’t be too spacious. 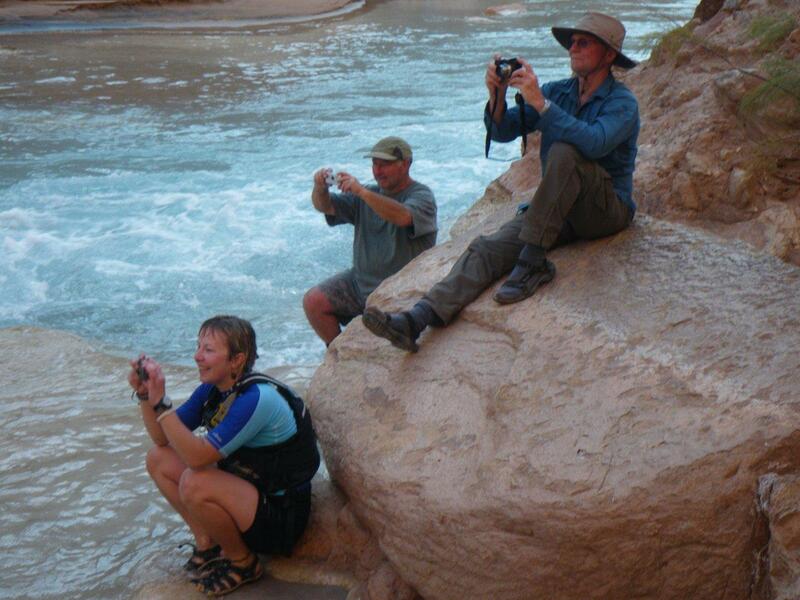 Look at those pics of the Little Colorado! Wow when we were there is was Very red, very think with silt – looked VERY different. 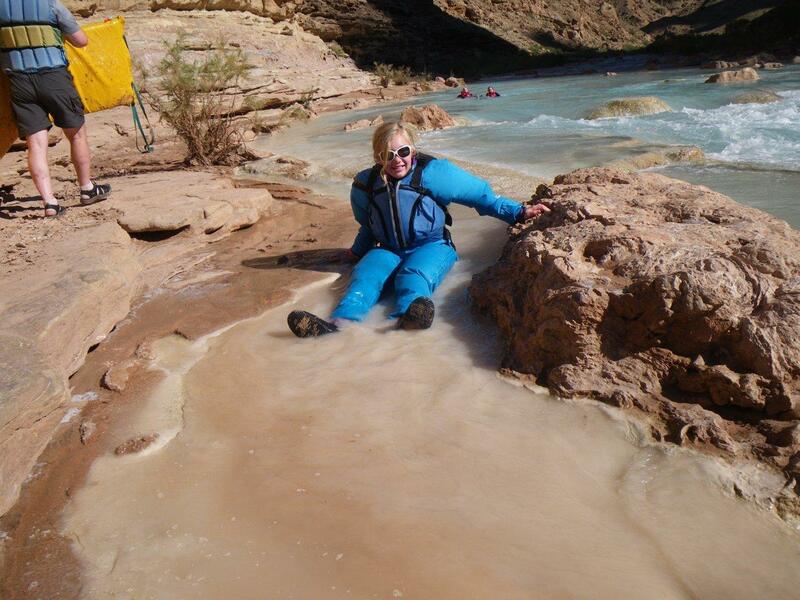 We had fun floating down the mini rapids, and later that evening our hair was full of the silt – my daughter’s blond hair almost looked red! That’s the Canyon for you, isn’t it? Every trip is so dramatically different. I hope you got photos of her red hair. I’m still shaking sand out of things that I took on the trip.